First off, I'm so pshched because Xander slept through the night for the first time!! I gave him a bath last night around 8:40, he went to sleep around 9 pm and didn't wake up until 5 am. Talk about a happy camper- I didn't go to bed until midnight but 5 straight hours of sleep is way better than I've had in a really long while. I hope it wasn't just a fluke and that we are on our way to him sleeping through the night, every night! 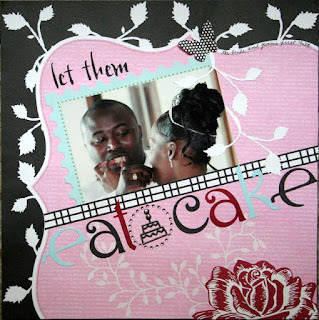 Secondly, I received 2 requests for projects and I am so excited! 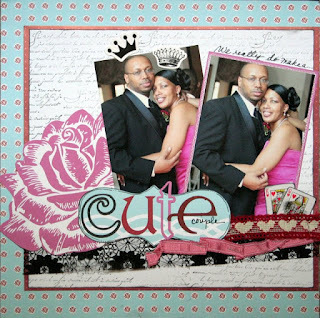 Paper Trends requested my photo cube for the October 2008 issue and Somerset Memories requested my cardboard layout that I created for Dream Girls challenge #4. Like I said, this was a great way to end the week!! You are Claire Huxtable from The Cosby Show. You have high expectations for your children, just like you have high expectations for yourself. You've probably got your own life and your own career, but nothing is more fun than spending time with your family. You may be a professional woman, but you enjoy getting silly with the kids sometimes. You want good kids, but you also want them to be successful, smart individuals who can speak their minds — as long as they do so respectfully. While you enjoy being the kind of mom that your kids can come to with a problem, you are not afraid to set them straight when they're acting badly. When it comes to discipline, you try treat your kids like adults, talking calmly and coolly. And that's ultimately why they're going to grow up with such unwavering respect for you — as both a mother and a successful person. It's that time again! 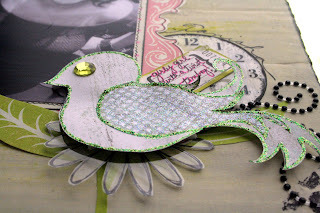 The next Dream Girls challenge is coming up and here's a teensy peek at mine! Hope you join us for the next round! Whooo! 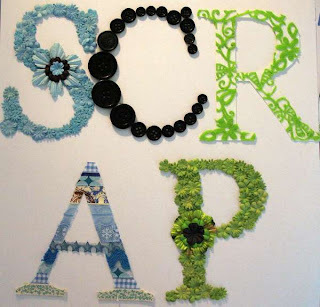 I've been on a scrapping roll! 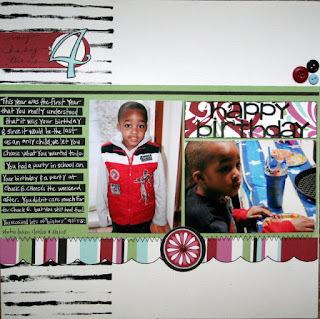 This past weekend I created 3 layouts and 2 cards all of which are for my 2 month guest designer spot at scraplovers.com. My mojo juices were flowing so I took advantage of it, of course now I'm surrounded by a ton of laundry that needs to be folded, but housework can wait...right?! 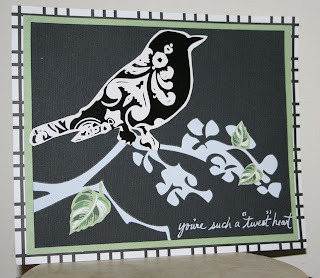 Anyway, this month DT work was sponsored by Tinkering Ink- I used Beloved for my projects. 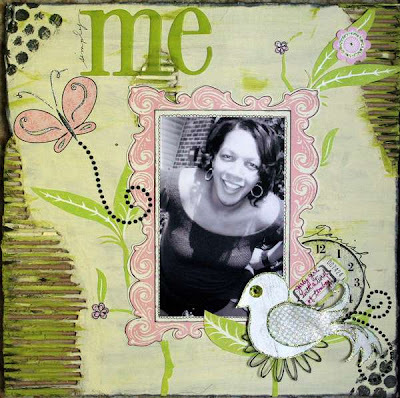 A new challenge was posted at Dream Girls today- "take inspiration from the template for our avatars here on this blog. And the twists? Well, first, your layout must be about YOU. Not your significant other, not your kids, just sweet little you. Oh, and the other twist? You must use some corrugated cardboard and it needs to be visible. The rest is up to you." If you want to see how the rest of the Divas interpreted this challenge, look here! I had a ton of fun with this LO! 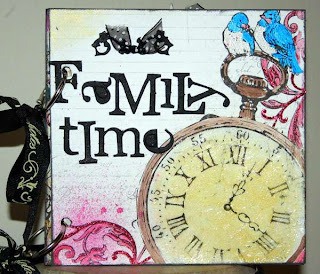 I used a piece of 12x12 cardboard for the background- I painted it and roughed it up a bit. I love the look of this, it's girly with a rugged edge, pretty much like me. 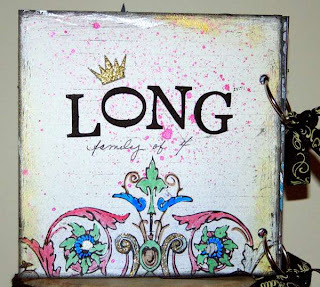 The journaling says it all, "girly girl with a twist of tomboy!" 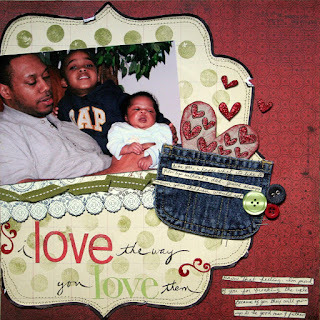 I created this mini album to teach at my LSS next month. I had lots of fun with this, too- I made my own watercolors using acrylic paint and water, spritzed lots of glimmer mist and even added a dab of stickles here and there! This is what the letters in the scrap-o-dex look like. 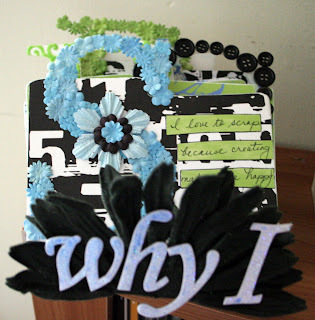 I covered Zsiage's 5" film alpha with primas, buttons, self adhesive felt and ribbon. My Mother's Day turned out nice despite the fact that we had to wait for a table at the Cheesecake Factory for nealy 2 hours! Troy gave me a bouquet of pink tulips and purple irises, Donovan made me a card and a silk calla lily and I spent the day in South Jersey with my mom, my baby sis, my middle sis and her 3 children. I stopped off at my mother in law's house on my way so she could see the kids (still feels strange to pluralize) and wish her a happy Mother's Day! 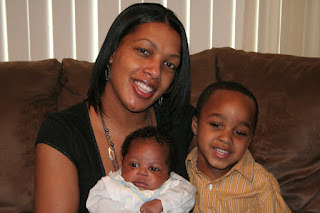 The best gift of all is spending my life taking care of my boys! I love them more than I could ever explain in words! Xander turned 1 month old today, that went by so fast!! He's sitting next to me asleep right now, but he spent the past few minutes before that just cooing away. I love that sound! We spent the day at the Memories Expo in Somerset despite the fact that is was rainy. I bought more patterned paper (like I need that)- finally got my hands on some Pink Paislee papers and some yummy vintage ribbon and a bunch of other things. 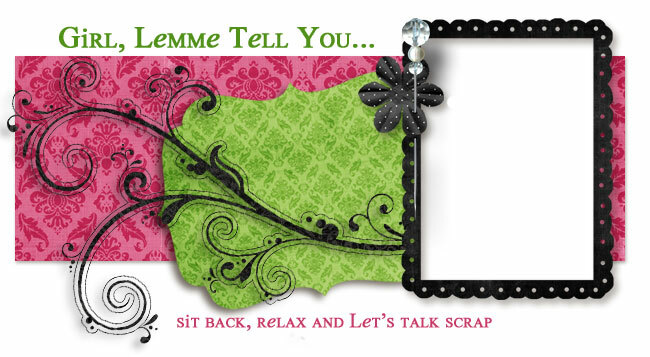 Here's a LO I created for May's Sketch contest at scrapfreak.com featuring a Becky Fleck sketch. This Animal Cracker Line by Making Memories was too perfect- just hate that my pics came out so dark. Does This Make Me An Expert In The Field? Another scrapper posted that she found my blog when googling a totally unrelated subject, which I found quite interesting so I decided to google myself to see what's out there. 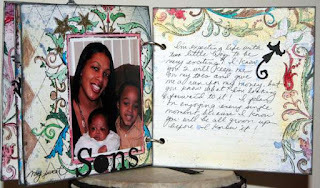 I came across this article where I was quoted on acrylic albums: http://www.bellaonline.com/articles/art55417.asp It was actually a surprising and fun discovery! The information super highway is something else! So, does this make me an expert? Nah! LOL! I created this layout based on an NSD sketch posted on scraplovers.com. Love how quickly it came together and the fact that I've wanted to scrap these photos for a while. 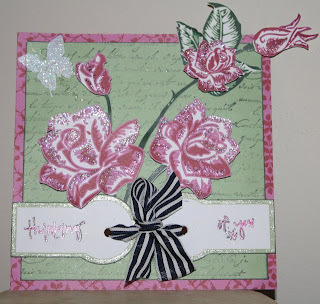 I used some Queen and Co felt, which I seem to buy a lot of but hardly use! 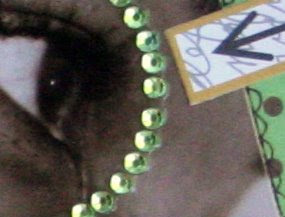 Here's a little teaser, a sneak peek of my layout for the next challenge to be issued at Dream Girls on the 15th! If you haven't checked out the blog and forum...what are you waiting for?!! 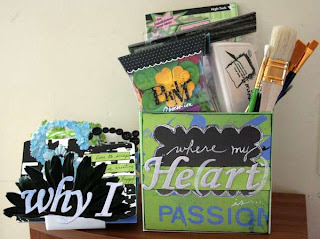 Check it out, there's tons of inspiration from the DT and our members! So what did you do today? Did you scrap your heart out? I hung out at a couple of my fave MBs and created the following LOs. 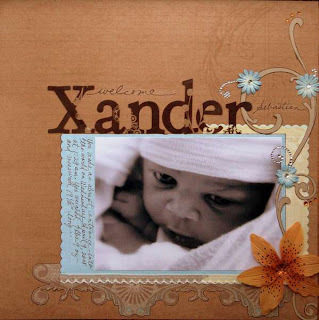 This is my first LO featuring Xander. This is one of my fave pics of him and I think this page will serve as the intro page to his 1st year album. This one is about my favorite type of movies! journaling: don't get me wrong, I live for a good action film. I love excellently choreographed fight scenes and explosions when I'm at the theatre. However, when I'm home, I love to watch "Chick Flicks"! It's not unusual for Troy to catch me watching one of my faves for the umpteenth time! The ones I seem to love most have either Reese Witherspoon or hottie Matthew McConaughey in them! 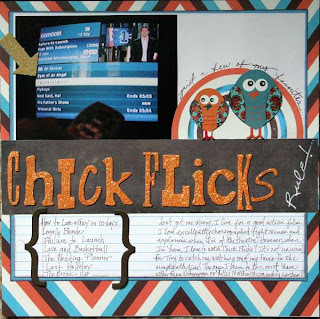 We are celebrating National Scrapbooking Day with a day at the movies so stop by the Dream Girls forum to see what we're up to! 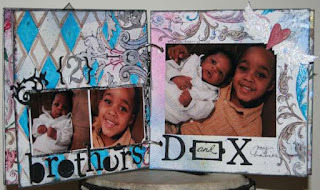 Stop over at the Dream Girls blog to see what we're proud of. Challenge #3 is up and it's all about saying it loud and proud. 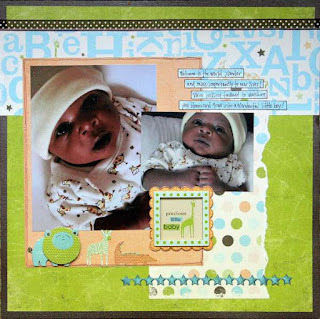 The challenge is to create a layout about your kids, or family or maybe an obstacle you struggled to overcome...the twist is to use chipboard and a sticker(s)! Here's what I came up with! 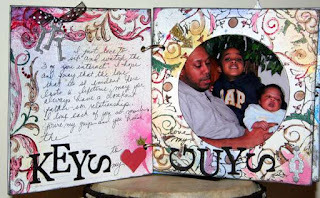 journaling: Like you, I know what it's like to grow up without a dad. You've always known your children would not know that feeling. I'm proud of you for breaking the cycle. Because of you, they will grow up to be good men and fathers. 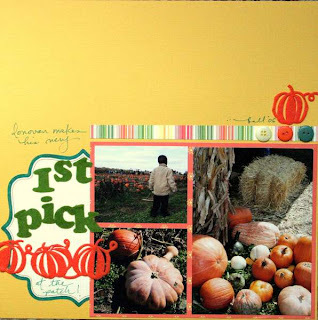 Stop by Dream Girl's this Saturday for our mini crop to celebrate National Scrapbooking Day!